The weeks and days are just flying by, aren’t they? The holiday has really slowed my progress in casting. I’m trying to push through but stuffing my face and chillin’ with my wife just seems to be more attractive for the moment. Holidays are for work breaks…, right? If you celebrate Thanksgiving, what are you grateful for? If you don’t celebrate Thanksgiving you could still tell me what you’re grateful for. I can remember in those confusing and frustating days as a teenager thinking, “I have nothing to be grateful for, life is sh*t.” My mother would always rebuff my teenage rant with, “You have clothes on your back, food in your stomach, and a family who loves you. There are millions of people who have none of that.” Of course, my response was typically a deep sigh before rolling my eyes but the older I grew and the more life experiences I acquired, the more I realized what I really took for granted and should be grateful for. I realized before I ever lock myself in my room and begin to feel sorry for myself. I should take a step back and look at how other people are living. Look at other people’s lives and compare my life to theirs. Not to say mine is better or worse but to say, “This is where I am in the world with my life and I am grateful to be where I am.” Why? Because my life is unique to me and my experiences and my dreams and there is always potential for it get better and possibly improve someone else’s. “It could always be worse,” is what I try to tell myself. I try to tell myself that because there is always someone else who has it worse but yet they still persevere and THEY are grateful. Don’t get me wrong. Every once in a while I, too, still occasionally regress to my teenage mentality, “life is sh*t.” The difference now is that I automatically trigger my mother’s rebuff once I’ve calmed myself down. Once I’ve calmed myself down and have cleared my head, I try to move on. And for that ability, I’m the most grateful. Another week has flown by and I just took a sneak peak at some submissions that were made through our postings on Actors Access, Now Casting, and Casting Networks. We’ve received over 300 submissions for a few of our English speaking roles and fraction of that for our Japanese speaking roles. Where are all the Los Angeles Japanese speaking actors? I’ve managed to get some casting flyers out to the local Los Angeles area Japanese markets while I post ads on sites like Vivinavi and Craigslist. I’ve also sent in casting ads to Rafu Shimpo and Nikkan San as well but numbers are low. Looks like casting for my leads is going to continue. There’s an overwhelming amount of work I may have under estimated and I’m realizing I really need to get some help organizing and executing the next steps I have to make. I’ve also realized that in spending time to research my film, search for a cast, look up ways to find my audience, and everything else…, I’ve become some what of a hikikomori myself. Now, mind you, I was never a social butterfly to start with. I can count my closest friends on one hand and still have space left over. But, maybe that’s the way it’s supposed to be. Some one once told me, “The older you get, the fewer friends you have.” Maybe I saw it in a movie or tv show… Either way, I don’t doubt that. Time is a great way to measure your relationship to people around you and directly involved with you. Maybe that’s why family is so important. If the internet had been what it is now when I was in middle school, I may have grown up to be a completely different person. Middle school was a complete and total nightmare for me so I stayed inside watching movies and cartoons when I wasn’t in school. They were my sanctuary; my escape. I felt as though if someone wasn’t picking on me they were thinking of ways to pick on me. I was one of the smallest guys in class and I felt like my biggest fault was that I was too trusting or nice to my peers. It wasn’t that I was grossly naive, I actually believed (and still do) what my father once told me, “Treat people how you want to be treated.” Apparently no one else’s parents (I thought) was telling their kids that. Or if they were, the he/she was not listening. I dunno’… I shouldn’t ramble on. I’ve got head shots and resumes to look through. We have the website up (www.americanhikikomori.com) , the weekly blog is sorta runnin’, and the Facebook page (www.facebook.com/americanhikikomorifilm) exists for the film. Essentially, we’re starting from scratch. 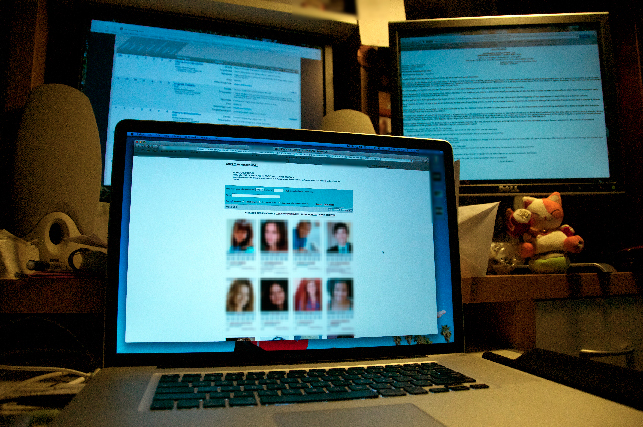 We have a script, a small team, and some casting notices up on several sites for the Los Angeles area. 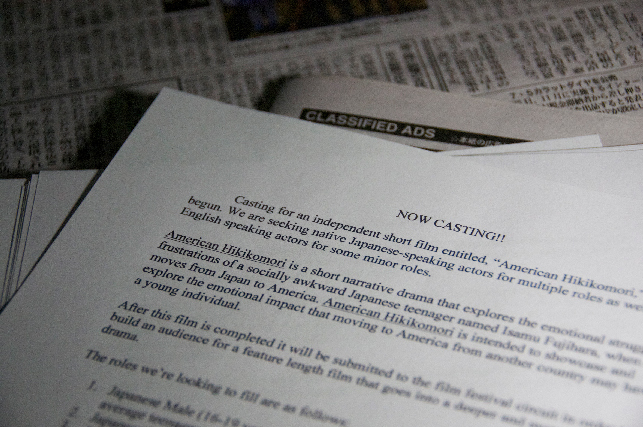 Because we’re looking for native speaking Japanese actors, casting has proven to be a little more complicated than we originally anticipated. 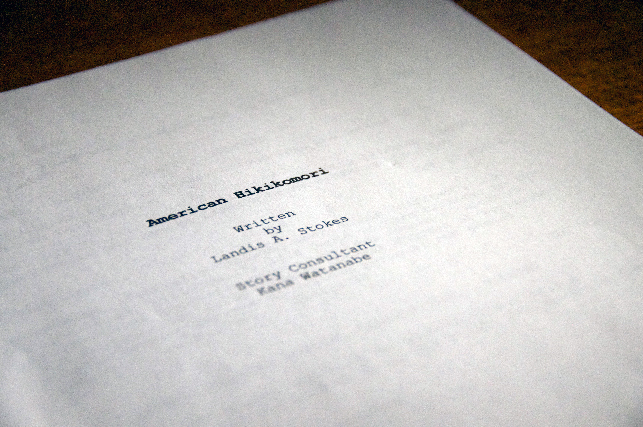 Welcome to our production blog for our independent short film, American Hikikomori! Here, we will post pictures and notes about our upcoming production. You’re invited to a behind the scenes look at our journey in bringing this short film to life!